Real Madrid has appointed former Inter Milan coach Jose Mourinho to replace Manuel Pellegrini. Mourinho's Inter achieved last season after winning the Coppa Italia, Serie A and the UEFA Champions League and Real must be expecting the same next season. Real had a good season but just fell short as Barcelona beat them in both their league matches and Real under Mourinho will need to change that in order to win La Liga. Real were also knocked out of the Champions League by Lyon in the round of 16. France will become the first country to host the European championships three times after winning the right to host the 2016 competition. France hosted the tournament twice before in 1960 and 1984 and this time managed to beat the challengers Turkey and Italy. Turkey lost by a single vote. The last major football tournament to be hosted by France was the 1998 FIFA World Cup which France won. Euro 2016 will for the first time see 24 teams compete in the tournament and this will mean 51 matches altogether. The Euros don't have the third place playoff match. Ukraine and Poland are hosting Euro 2012. Manuel Pellegrini may have been sacked by Real Madrid but his team proved to be one with one of the best defences in the top European leagues. Real did not concede more than two goals in any league match. Barcelona is the only other team to achieve that compared with teams from Serie A, English Premiership and the Ligue 1. So when the new Real Madrid coach starts, supposedly Jose Mourinho, he will probably have to do better than Pellegrini. Real Madrid has sacked its coach Manuel Pellegrini after one season in charge at the Bernabeau. Real's Pellegrini finished second on the table behind champions Barcelona but that wasn't enough to save the coach's job. Real lost four matches last season including two to Barcelona. A draw in the last match of the season made the team finish three points behind the leaders. So Real scored three goals or more in 22 matches out of 38. No team managed to score three goals against Real. Blackpool completed the lineup for teams in the English Premiership in the 2010/11 season after beating Cardiff 3-2 to gain promotion. Newcastle United and West Bromwich Albion secured automatic promotion after finishing first and second respectively and Blackpool went through the longer playoff route. Blackpool finished sixth in the Championship, nine points behind third placed Nottingham Forest and six points behind Cardiff. But three first half goals was all they needed to secure their place in the top flight. The FIFA 2010 World Cup kicks off in less than three weeks and today I will take a look at one the teams that could win the tournament in South Africa. My first pick will be the Netherlands. There are many expectations around the Netherlands national team, especially when they are seen as one of the strongest candidates to win this championship. Here are some aspects to consider before make your World Cup picks. Without any doubt, Netherlands didn�t have a complicated road in the qualifying campaign, keeping the first place in Group 9 with eight wins in eight matches played against Norway, Scotland, Macedonia and Iceland. Among the strengths of the Orange are Robin Van Persie, Wesley Sneijder and Arjen Robben, men that any coach in the world would like to have in their selected list. The Netherlands offense is known for its strength and relies on the brilliant technique of Van Persie; Holland could be crowned as a great team and could make of South Africa 2010 World Cup their biggest achievement, if they forget about their fears. On the other hand, the quality of Sneijder�s game and Robben's ability will be the key in the development for the Oranges in this World Cup; keep in mind these three players together could become very dangerous weapons. As in any team we are always going to find strengths and weaknesses and I think the easy qualifying process of Netherlands cannot be taken as a reference point of what we might see in South Africa. Also, the Orange defense has always been discussed, especially when players like Joris Mathijsen, Johnny Heitinga and Andre Ooijer are compared with the legends Frank de Boer and Jaap Stam, comparison that shows the drop suffered by Netherlands in quality of their defense compared to the previous decade. This will be a great challenge for Netherlands and they could think in South Africa as their great opportunity to become world champions for the first time; however I think that if they reach the quarter-finals would be a good tournament and everything beyond that stage would be a big surprise for many. The TipsChallenge 2010 World Cup tipping competition is already in full swing and should be as exciting as ever and other sites to keep check will be the BBC World Cup site and also Soccernet. The 2010/11 A-League fixtures were released this week and for the first time there will be eleven teams in the league. The 2010/11 season will kick off on the 5th of August and like last season there will be 27 rounds. The last round in the home and away season will be played on the 13th of February with the Grand Final set for the second weekend of March 2011. Having an odd number of teams means that in every round there will be one team without a match. So the Wellington Phoenix will only get their first match in the second round. The full fixture can be found here. The fixtures will be available on TipsChallenge during the 2010 World Cup competition. Second place Real Madrid will play an away match against Malaga in the last round knowing that victory will at least keep them in the hunt for the title. Real currently trails rivals Barcelona by a point and to win the title the champions must fail to win its last fixture while Real win its tie. A Barca win will make sure they will retain the title. Malaga are currently fifth from the bottom and there is a chance that they could be results. A win will guarantee their safety irrespective of whatever happens in other matches. Malaga's home form is not that impressive having won only five matches at home so far this season. On the other hand Real has lost three matches away from the Bernabeau and their away form is the second in the league. In the last round of La Liga defending champions and current league leaders Barcelona play Valladolid knowing that a win will land them another title. Barca plays its last match at home where it has not lost a single match and the only blemish there being draw. On the other hand their opponents have only won three matches away from home. If other results don't go their way Valladolid could be relegated and therefore they have all to play for against the champions. There is a 60 point difference between the two teams and in their earlier match this season Barca won 3-nil. Second placed Real Madrid will play at the same time as Barca waiting for a Barca slip up. Its the FA Cup but in Premiership terms its an encounter between the top team versus the bottom team as Chelsea face Portsmouth. Chelsea finished top of the league whilst their rivals with their nine point deduction finished bottom and the two teams face up in the FA Cup final. Portsmouth would still have finished bottom if the nine deducted points were reinstated and therefore its a true top vs bottom contest. In the league, Pompey won just seven matches compared with the champions who won 27 matches. 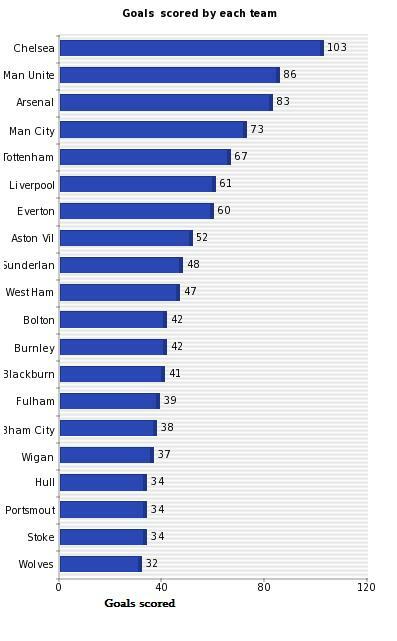 Pompey lost 24 of its matches compared to Chelsea who lost six matches. But this is a Cup game and therefore the league position may be irrelevant and whoever is better on the day will take the Cup home. West Ham United have sacked manager Gianfranco Zola after the team performed poorly in the just ended 2009/10 season. The Hammers finished fourth from bottom and flirting with relegation most of the season. Chelsea won the English Premier League title in style after beating Wigan 8-nil at Stamford Bridge. Chelsea needed a win to win the title and stop second placed Manchester United from claiming their fourth successive title and they made it look so easy. Also Chelsea set a new record scoring 103 goals from their 38 matches and in the season managed to score seven goals in three matches. Arsenal beat Europa Cup finalists Fulham to secure third place and avoid the need for Champions League playoffs. Going into the final round, the relegation places had already been decided but Burnley still managed to beat Tottenham Hotspurs who had already secured fourth place. Liverpool finished the season with a goalless draw to finish seventh. Tottenham Hotspurs secured next season's Champions League qualification after beating rivals Manchester City 1-nil at Eastlands. The results means Spurs complete a double over City after beating the team 3-nil at White Hart Lane. City needed at least a draw to stay in the hunt going into the last round fixtures but a loss means that Spurs have opened a four point gap. Spurs can still get third place if Arsenal slips in its match against Fulham and Spurs win over already relegated Burnley. Mallorca are sitting in fourth place and in the midweek round 36 of the Primera Division they face Real Madrid who are themselves battling for the title. Mallorca has been the surprise team of the season and are at the moment two points ahead of fifth placed Sevilla and a win over Real Madrid will make them stay in that position at the end of the round. Mallorca can still finish as high as third because Valencia in third place at the moment are six points away with three matches left to play. Real Madrid cannot afford to slip at this late stage of the season and a victory will mean they will keep on track in their Barcelona chase. Tottenham Hotspurs plays Manchester City knowing that victory will give them at least fourth place at the worst as they play in this midweek fixture. Both teams collected full points in their round 37 fixtures and now they have a showdown which will guarantee a winner a foothold on fourth place with just one match to go. A draw will be good for Spurs because it means they stay in front and will control their own destiny. A draw will need Man City to rely on Spurs drawing their last fixture of the season whilst City wins its own. Both teams finish the season with away matches with Spurs playing Burnley and Man City away to West Ham. Spurs can still finish third in the league this season if they win both their last two matches and Arsenal loses its final fixture against Fulham. In their fixture at White Hart Lane in round 16, Spurs won 3-nil. Hull City was relegated to the Championship after drawing 2-all with Wigan. Hull needed to win the match in order to stay with a mathematical chance of surviving going into their last match against Liverpool. The draw officially ended Hull's two year tenure in the top and will now join Portsmouth and Burnley. Meanwhile after the last round of the Championship was played over the weekend, Nottingham Forest, Cardiff, Leicester and Blackpool will contest the playoffs to decide the team to join promoted Newcastle United and West Bromwich Albion in the premiership. Chelsea will take its title battle to Anfield when it takes on seventh placed Liverpool in round 37 of the English Premiership. The two teams needs for different teams and for Chelsea they need to win to remain in contention for the title whilst Liverpool needs a win to stay in the hunt for fourth place on the table. In the event of Manchester United beating Sunderland, Chelsea needs to win this match to remain in pole position for the title. Liverpool can only reach a maximum of 68 points and at the moment its still possible for 68 points to achieve fourth place although its very unlikely especially with Manchester City playing Tottenham in midweek. The Anfield outfit has just been knocked out of the Europa Cup and therefore the two remaining fixtures have become very significant to achieve as high a position as possible. Chelsea beat Stoke 7-nil in their last league game match and needs seven more goal to reach a century of goals. In their last league match Liverpool beat Burnley 4-nil to stay in touch with the other teams chasing for fourth place. In their previous match this season Chelsea beat Liverpool 2-nil.